The National Joint TERT Initiative, LLC, is currently accepting letters of interest for appointment to the 2018 NJTI, LLC, national committee. The 2018 service term runs from January 1, 2018, to December 31, 2018. Consideration for appointment to subsequent terms is discretionary on the part of the appointee, NJTI, LLC, co-chairs, and NJTI, LLC, co-managers. Interested parties should submit a resume and brief statement (one or two paragraphs) summarizing their interest in this vital mutual aid program for 9-1-1. Submissions should be sent via e-mail in PDF format to the two national co-chairs at cAhrens@cjtc.state.wa.us and ddemar@monroecounty.gov . The deadline for submissions is November 15, 2017. 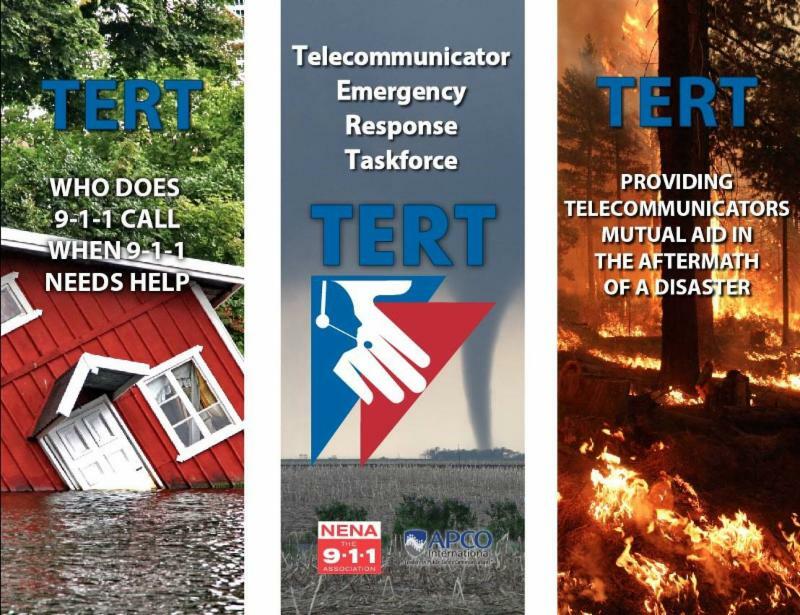 Have you participated in a TERT Deployment? Share your deployment story for use on the site and in the newsletter. Contact us to reserve TERT panels. Copyright © 2019 NJTI-TERT, LLC. All rights reserved.